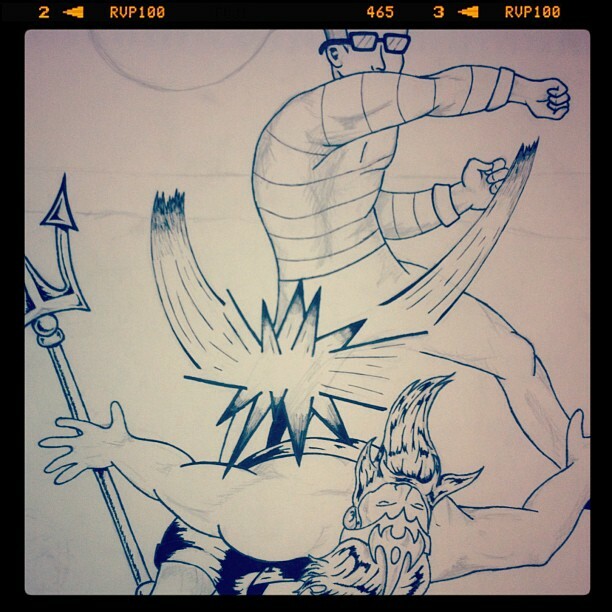 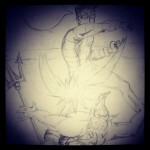 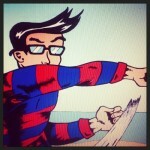 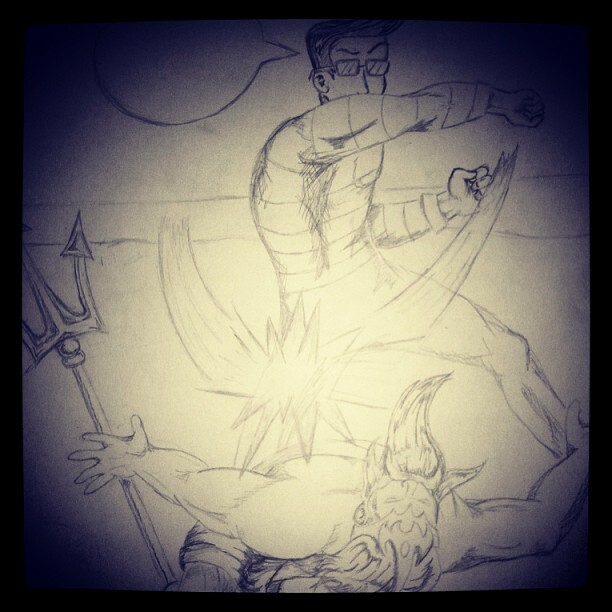 In this re-imagined version of the classic scene from “The Adventures of Pete and Pete,” Artie is given true hero status as comic book icon of the Krebstar Comics Group battling the Greek god Poseidon for summer supremacy! This entry was posted in Exhibit, Wearable Art and tagged As Seen on TV exhibit, comics, crossover, illustration, nickelodeon, Pete and Pete, t-shirt. Bookmark the permalink.